No word yet on whether they’re planning to form a giant cockroach army. AT LEAST ONE million cockroaches have escaped a farm in China where they were being bred for use in traditional medicine, a report said. The cockroaches fled the facility in Dafeng, in the eastern province of Jiangsu, for surrounding cornfields earlier this month after an “unknown perpetrator” destroyed the plastic greenhouse where they were raised, the Modern Express newspaper said. Farm owner Wang Pengsheng invested more than 100,000 yuan (€12,000) in 102 kilograms of Periplaneta americana eggs after spending six months developing a business plan, the report on Friday said. The cockroach is generally considered a pest, but believers in traditional Chinese medicine — which uses both plants and animals, including endangered species — say extracts from it can treat diseases including cancer, reduce inflammation and improve immunity. 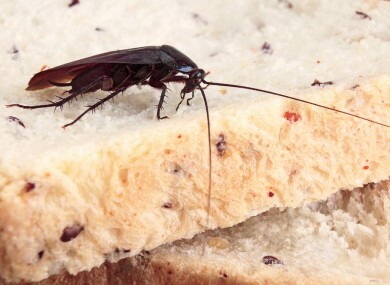 By the time the greenhouse was damaged, more than 1.5 million cockroaches had hatched and were being fed food including “fruits and biscuits” every day, Wang was quoted as saying. He had expected to make around 1,000 yuan profit for every kilogram of cockroaches sold, according to the report, but was now facing losses of hundreds of thousands of yuan. Email “More than one million cockroaches escape from China farm”. Feedback on “More than one million cockroaches escape from China farm”.